Item shown above : Actual item shown. Candle not included. 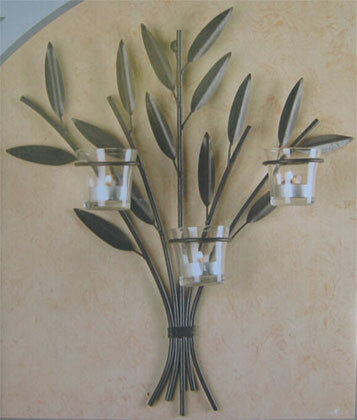 Beautiful wall sconce with 3 votive cups for tealights or votive candles. Put it up on any wall and it will be an excellent piece of art on the wall, such a modern-day elegance. The wall sconce is crafted from metal. Candles not included.